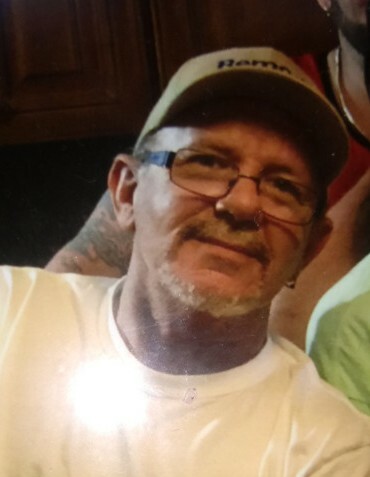 William J. Vanderweerd "Billy Van", 61, a longtime resident of Keansburg, peacefully passed away Friday, April 5th, surrounded by his loving family at Riverview Medical Center. Billy was born in Irvington, and lived in Keansburg most of his life. He was a highly respected salesperson for Remodel America in Middletown. Prior to that he was a hard working, well known construction contractor known as Highlight Home Improvement. Bill took much pride in his work. He was an honest, loving, selfless man. When Bill was not working, spending time with his family was the thing he cherished most. He also enjoyed fishing, music and collecting guitars. His collection was always evolving as he often swapped guitars with other collectors. He shared his love of music with his grandchildren and taught many of them to play the guitar. Bill also enjoyed the company of his beloved dogs, Ace and Lucy. William is survived by his wife, Maureen Vanderweerd, his daughter and son-in-law, Patricia and George Burdick of Middletown and his two sons; Robert and Glenn Pittius, both of Keansburg, and James Shields of Hazlet who he raised and considered a son. Bill also leaves behind 11 grandchildren; Samantha & Thomas Carson, Amanda, Ashley, Bobbie , Lil George, Presley, Payton, Glenn, Jr., Jacqueline, and Madeline along with his extended family members; Patty Cobb Cottrell, Shawn & Jodie Roser, John & Madelaine Beyer, Gail, his in-laws Patricia and Peter Szeles along with many loving nieces and nephews, his company family and his friends through life. Bill was the home base of our family. His biggest lesson to his children and grandchildren was to never settle and always be an independent, hard working, honest, respectful, human being. Anyone who had the privilege of meeting him or knowing him, walked away loving him. His time here was definitely not near close enough but heaven has gained a warrior. Bill was surely welcomed with open arms in heaven by his family that has gone before him; Jacqueline, John and Eva, Virginia, John Vanderweerd, and Vera and Richie Beyer. A celebration of Billy's life will be held from 3 - 7 pm on Sunday, April 14th at the Union Fire House Co., 1224 Florence Ave., Union Beach, NJ 07735.